Do you have flooding in your bathroom? Immediate action is necessary to keep yourself and your family safe and minimize permanent damage to the structure of your building. Standing water damages wood structures and serves as a medium for mold growth. If your bathroom has flooded, call the restoration pros for immediate action at (210) 239-0486. 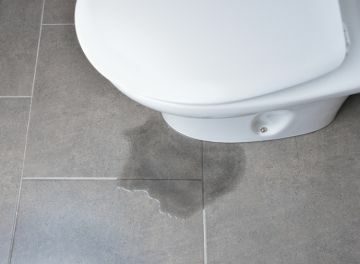 Toilet overflows present a more critical problem than other bathroom floods, because raw sewage seeping into your floor boards and behind your walls poses a health hazard in addition to the structural damage that water causes. If you have had a serious toilet flood, call the experts at Complete Clean Water Extraction for swift action. If you are dealing with a flooded bathroom due to a toilet overflow, DON'T FLUSH! Many people think if they can just flush one more time, the clog will go down. Chances are, there is a clog there that is blocking the flow of water. Flushing will only add to the amount of water flooding your bathroom. Instead, call Complete Clean Water Extraction at (210) 239-0486 after you turn off the water valve. We'll arrive quickly to remove the water, assess the damage, begin the dryout process and restore your bathroom to it's pre-flood condition. There are many emergency services that can be found online when a bathroom floods. However, very few come backed with dozens of satisfied customers and steadfast team of professionals that stands by their promises. Complete Clean Water Extraction's mission is to act swiftly and precisely to return local flood-damaged properties to better condition than they were prior to the bathroom flood. Call (210) 239-0486 and speak with a caring professional from Complete Clean Water Extraction we will devise a plan to restore your property quickly and cost-effectively.